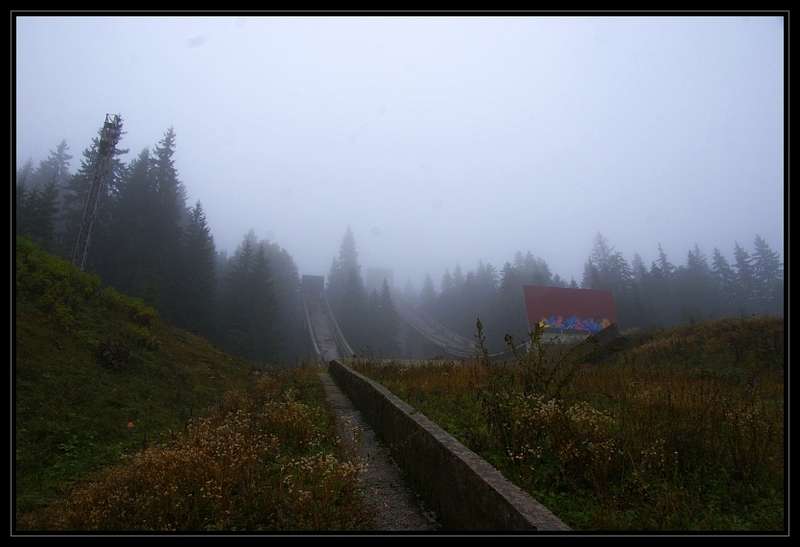 The Igman Olympic Jumps (also known as Malo Polje) are located on the Igman mountain near Sarajevo, in what was then Yugoslavia and is now Bosnia and Herzegovina. 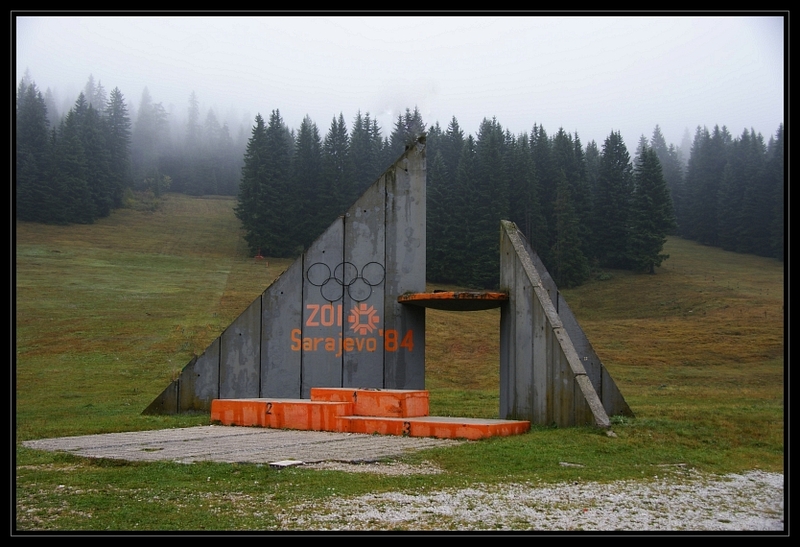 During the Siege of Sarajevo, Igman became part of the buffer zone between the 2 sides, the area around the ski jumping hill saw heavy fighting during the civil war and was also used for executions with some rumoured to have taken place on the former winners podium. 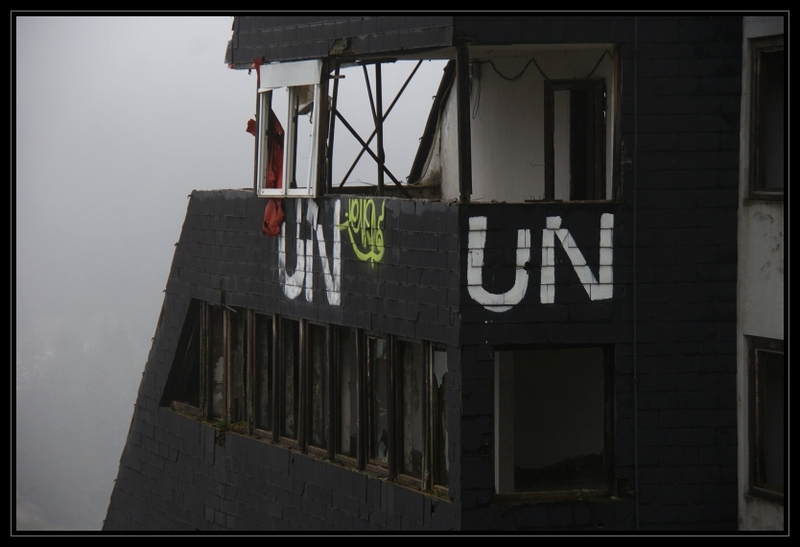 Later in the siege the UN took over the former judging platform, the building still bears the painted letters on 2 sides of the building. 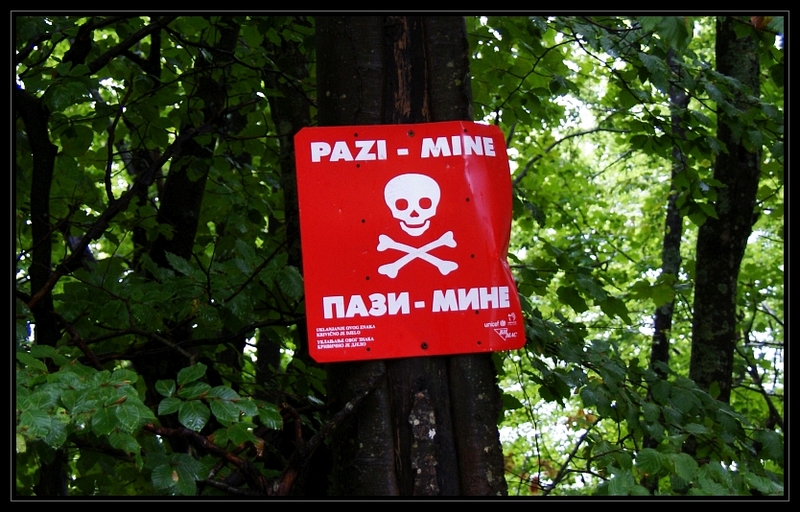 Mines were also laid throughout the mountainside, today 94% of all mines in Bosnia and Herzegovina have now been cleared but there are still a couple of signs on the way up the mountain. 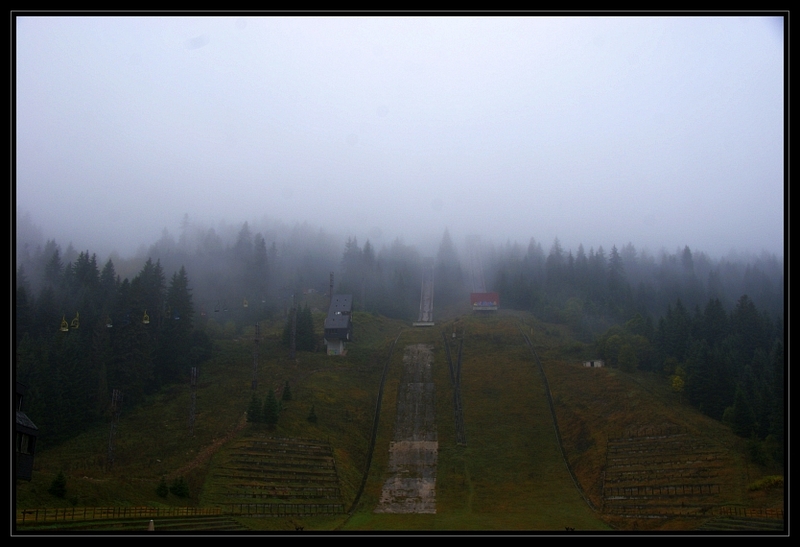 Since 2010 a company called ZOI'84 has owned the hills with plans to renovate the venue and rebuild the ski runs with an expected outlay of around 7-10 million dollars (US). This new venue was due to open in 2013 but apart from some remedial works to the buildings and the former podium repainted not much has happened. 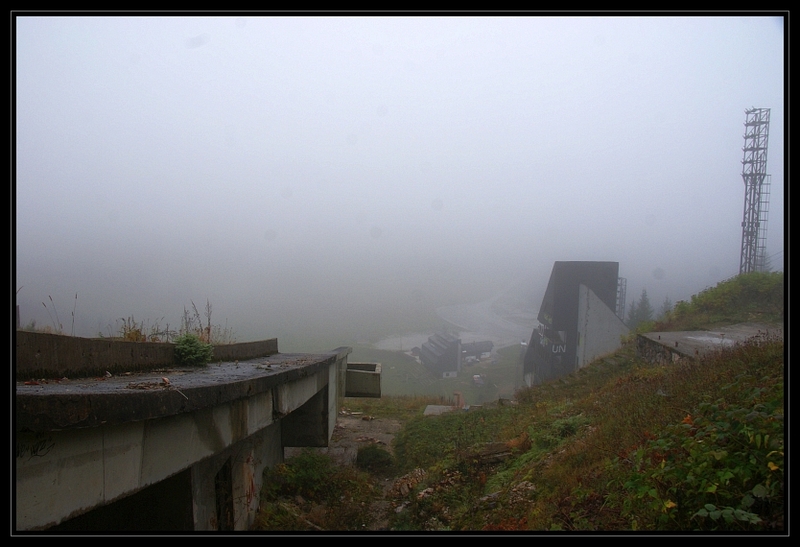 Think the mist done you a favour that day, put a real nice effect on the photos. Good job man! 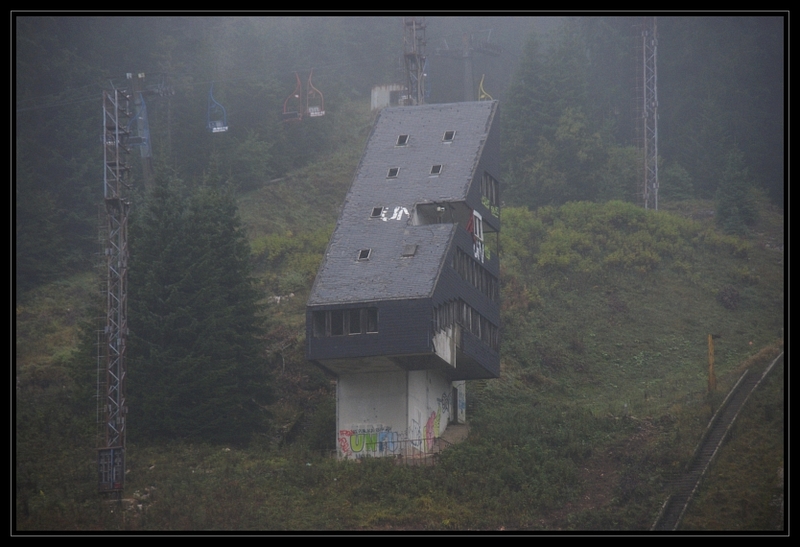 Ski win. Interesting that it featured in the war. 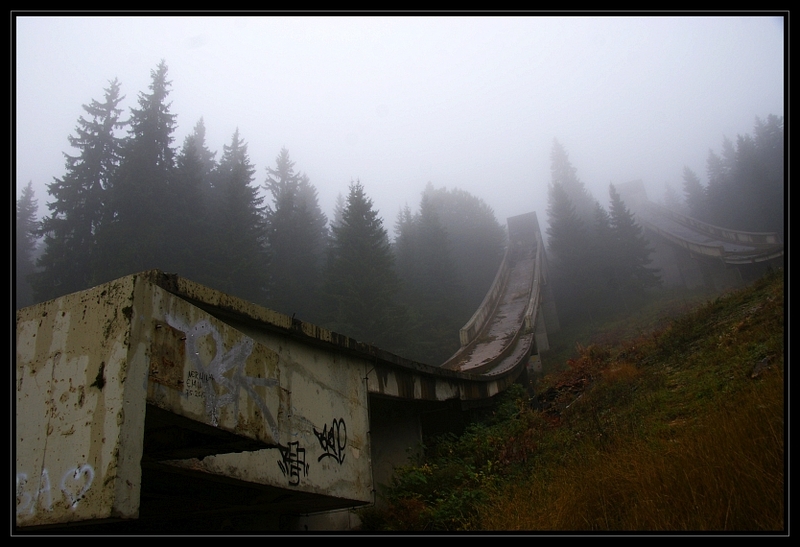 Did you have a go on the slopes on skis/wheels/arse/some other mode?